Hello. I'm Alexandria. 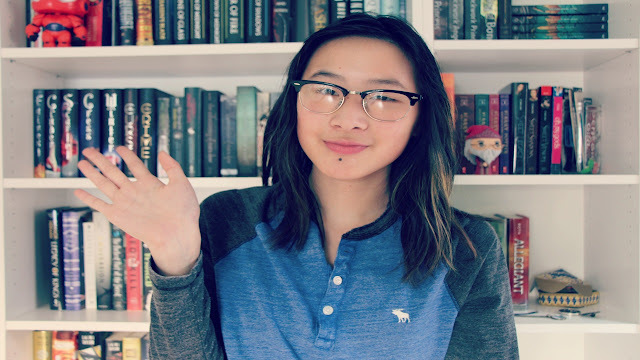 Okay so for those who have been following me since the beginning aka when my blog was a tiny fetus, you probably know that I have a Youtube Channel. And if you didn't know... well you know now! I started my Youtube Channel a year after blogging. My decision to start Youtube was purely on a whim, but it's one I'll never, not in a million years, regret. I've written posts many times about my experience with Youtube so if you're bored by now, I'm sorry *sad face*. The reason I write these posts is to document my experience as well as share it with you guys. This post is different, however, because it's also an announcement post. I originally purchased a camera (the Canon Powershot SX520) to start my channel but was so disappointed in the purchase and in myself for not doing the proper research to find one that was better suited for Youtube. I was honestly just in a rush to buy the cheapest and least expensive so I could get to filming! That's not the way to do it!! In the end of 2015, I announced in a video that I would be "starting Youtube over". The reason being was because I just wasn't happy with the quality of the videos I was putting out and the camera I was using. In the beginning of January, I started posting videos again after a month long break of putting a pause and discovering what I wanted to do with my channel in the future. I had plans! I wanted a new camera, new background, lighting, and enthusiasm. And that's exactly what I got! Everyday I look forward to going home and shooting more videos for my channel. At the same time, I was also heavily watching what exactly I was posting. I didn't want to limit the channel to everything books, but I also wanted it to be distinguished under the BOOKTUBE category. I will be doing more tags, monthly wrap ups, lots and lots of book hauls and fun challenge videos! With this mixture, I'm excited to see the traction it'll get and the new people I'll meet along the way. With Youtube, schoolwork, my job and a lot of programs I'm involved in, there's only so much one girl can do. It's not so easy to type something up and publish it on here. There are the graphics, checking over for grammatical mistakes, fixing typos and writing quality posts (which I'm horrible at). Ahhh Rachel <3 <3 Thanks so much. I really appreciate all the support especially from you, since you're like amazing and one of the first bloggers I met. When I first saw the title of this post, I was afraid you were going to give up blogging for Youtube completely! It's great that you're getting you camera, and I'll be on the lookout for more of your videos!